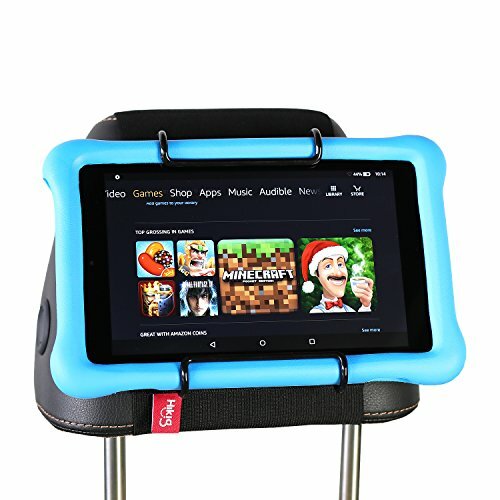 NO PROTUDING PARTS – Mount fastens tightly against headrest safely away from toddlers flailing feet ★100% MONEY BACK GUARANTEE – 30 Days of Easy Returns via Amazon plus one-year replacement warranty! 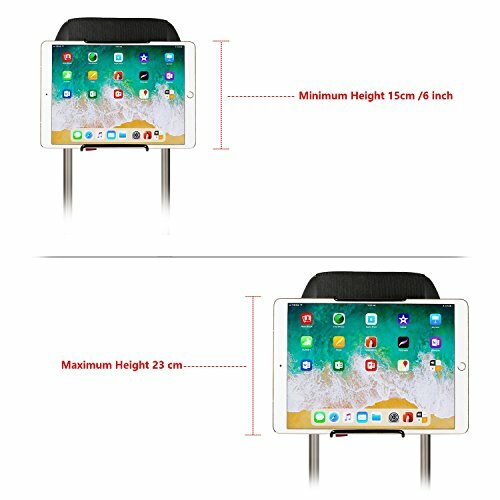 1: SIMPLE, EASY AND UNIVERSAL – Mount your Tablet PC to the back of your car’s headrest – Works well with all iPad & Samsung Tablets as well as other 7 inch – 11 inch Tablet PCs – Adjustable strap allows for easy, quick and secure mounting to car headrest. 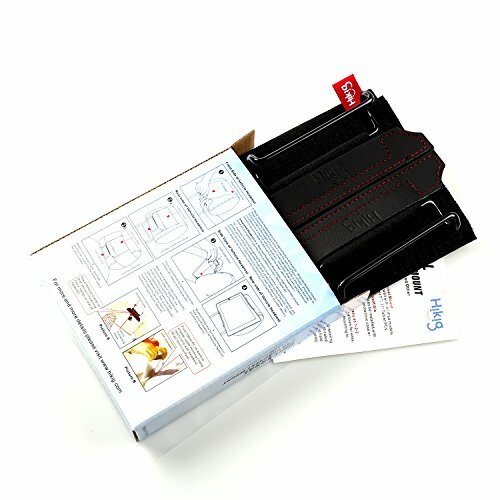 2: WORKS WITH OR WITHOUT CASE – Tablet PC may be installed with or without a protective case or cover fitted – Compatible with name brand cases from OtterBox, LifeProof, Kensington and more. 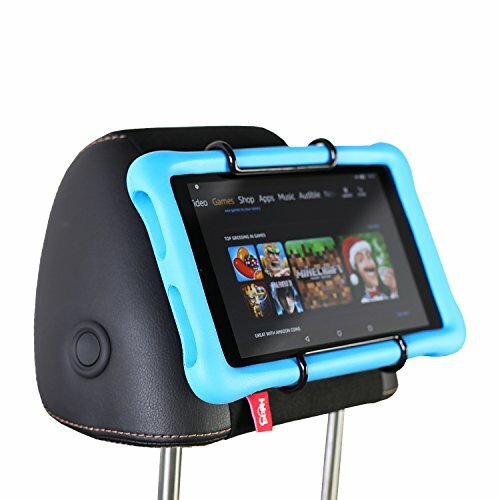 3: DETACHABLE – Tablet PC removes easily yet reattaches to headrest securely for maximum in-vehicle convenience – Children quickly learn how to mount and remove their Tablet PCs on their own. 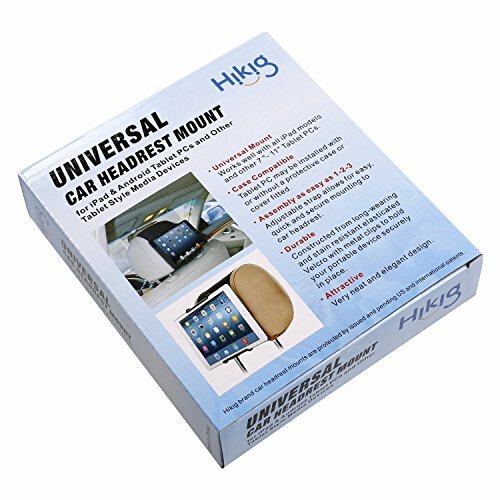 4: PORTABLE & TRAVEL FRIENDLY – Folds up compactly for easy stowing in your vehicle when not in use – Car mount carries easily in a travel bag or purse for use in rental vehicles or a friend / relative’s car. 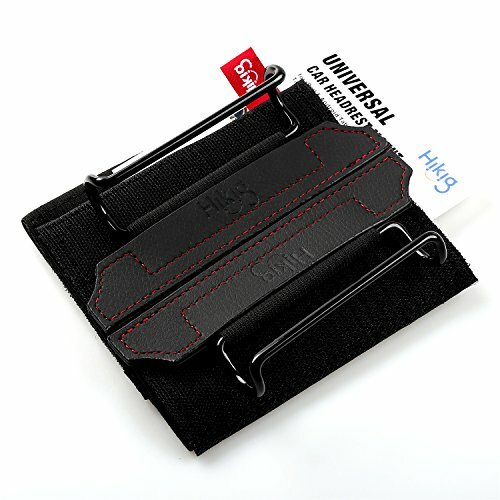 Flying soon? 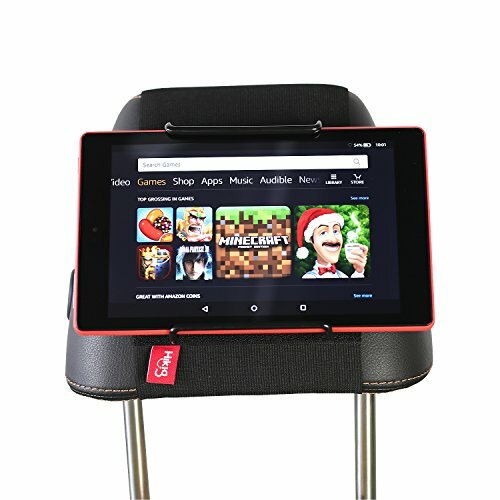 Headrest Mount can be fitted to seat back tray table turning your Tablet PC into an inflight personal video system.